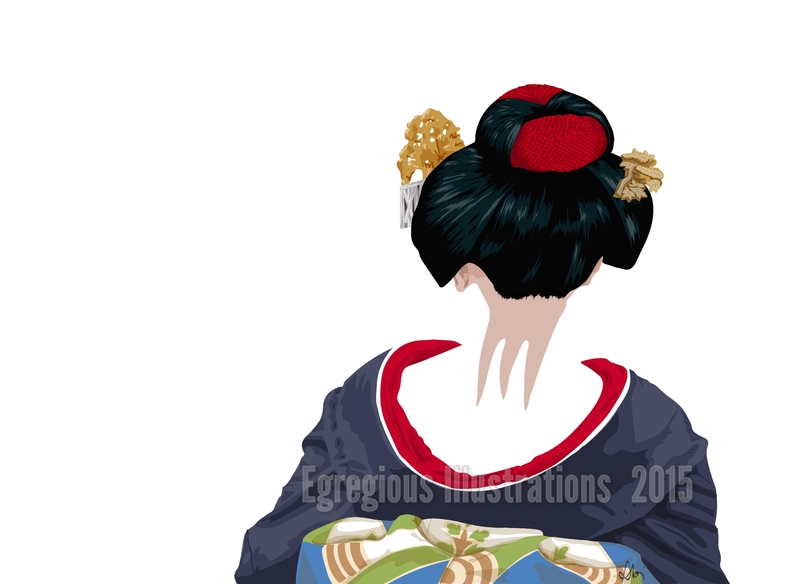 Another illustration from my ‘Geishas’ project, completed in Adobe Illustrator. I find Japanese culture fascinating. I love the fabrics of the kimonos and obi (the ‘bundle’ of fabric on their back).